The drinking of Scotch whisky was introduced to India in the nineteenth century, during the British Raj. 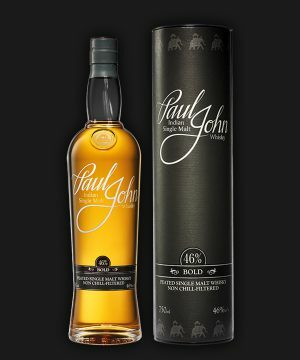 The manufacture of whisky from malted grains in India was pioneered by Amrut Distilleries in 1982 to create a premium whisky from a combination of malted and unmalted barley - Ninety percent of the whisky consumed in India is molasses-based, the first single malt whisky to be made in India, on 24 August 2004. It’s estimated that because of climate differences, one year of barrel ageing in India is equal to three years of ageing in Scotland. Paul John Distilleries had been making blended whisky in Bangalore, since its foundation. Its single malt distillery is located in Goa and being in the tropical zone and near the Arabian Sea, has a hot and humid climate for most of the year. The month of May is the hottest, seeing day temperatures of over 35°C (95°F) coupled with high humidity. The monsoon rains arrive by early June and last till late September. Goa has a short winter season between mid-December and February. These months are marked by nights of around 21 °C (68 °F) and days of around 28 °C (84 °F) with moderate amounts of humidity. The hot weather makes whisky mature faster in India than it does in Europe or the United States. The fraction lost to evaporation during aging, known as the angels' share, is also higher in India, at 10–12% per year, than in Scotland, where the annual evaporative loss is about 2%. 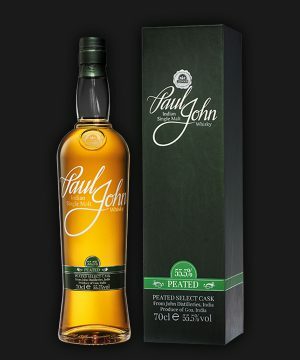 This leaves a hogshead with only 150 bottles left in it, after three years, compared to around 350 in a Scotland. 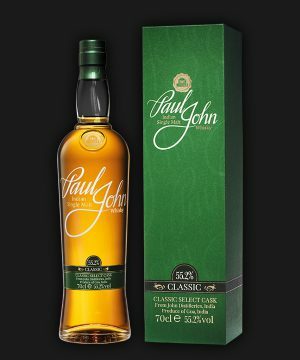 Michael John describes it this way: "Whisky matured at these temperatures simply cannot be aged for the kind of time expected with Scotch, even trying to mature our whisky for just 10 years would leave barely a bottle of liquid in the barrel. Fortunately, the heat actually speeds up the maturation process considerably. As a result, whisky that has been matured for just 4-5 years – as is the case with Paul John Edited and Brilliance – is equivalent to a Scotch that has been aged for around 15 years."